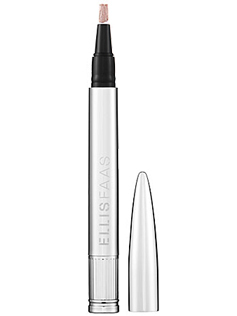 Creamy eyes by Ellis Faas are a beautifully packaged cream eyeshadow and brush in one.The pump action pen applicator disperses the cream straight onto the brush tips so you can apply and blend as you go. 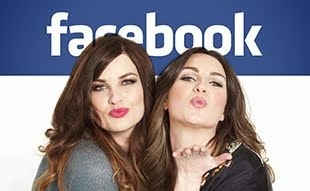 The colours are opaque, semi matte that provide a sheer but buildable coverage. I found that these dried off quite fast so you need to apply and blend quickly. These would be good for people on the go who like to throw their make up into their bag.The product sits nicely on all skin types but if you have especially dry eyelids or sensitive eyes I would be cautious as once dry the colour does tend to cling around dry areas. These stay put really well so when it comes to removing them opt for an oily eye make up remover to avoid pulling the delicate skin around the eyes. We have 6 out of the 14 different shades to show you. Soft pastels of purple, lilac, dove grey and seagrass green.An antique gold and a dark graphite grey. I own one of those, and however the package looks great, after just a little while the brush got clotted and I couldn't get the product out anymore. Gosh these are stunning. I don't even really WEAR pastels on my eyes and I want these! 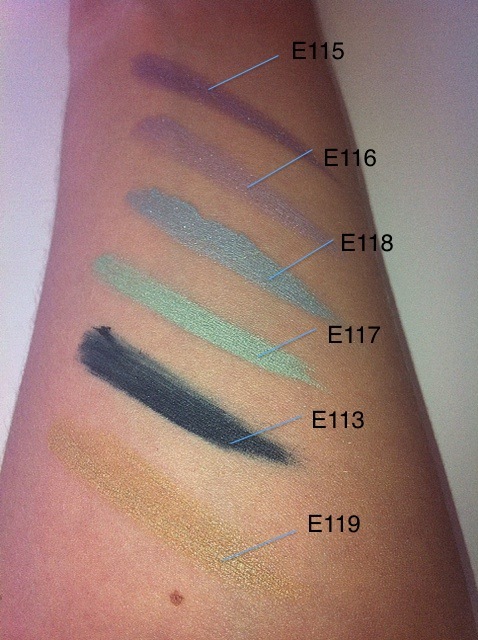 The shades are lovely and they look so rich and pigmented and creamy! I'm in love with these because of the shades, and the packaging looks like it belongs in a Sci Fi movie, which for me is a big plus!